Kathmandu – Devotees have crowded Kageshwori Mahadev Temple in the northeastern belt of Kathmandu Valley to mark Kaag Tihar, the first day of five days Tihar festival. On the day, Kaag or crow is fed. The crow is considered as the messenger. The brass idol of Kaag (a type of bird) weighing 227 kilograms is the main attraction of the temple. A Brahmin batuk from Kantibhairav Gurukul in Gokaneshwor and a Buddhist monk from Gagalphedi monastery separately performed puja at the image of Kaag as per Hindu and Buddhist religions respectively. The idol was built at the cost of Rs 1.3 million provided by lawmaker Rameshwor Phuyal from the constituency development programme and the Kageshwori Manohara Municipality. The Province-3 government has allocated Rs 380 million for the construction of the Brahmakhel-Satghatte-Gagalphedi- Sahid Park road. It is stated that the call for tender for the appointing the contractor for the road would be made in some days. There is plan to expand this road up to Gosainkunda. A campaign has also started for constructing a statue of crow using an alloy of eight different metals. 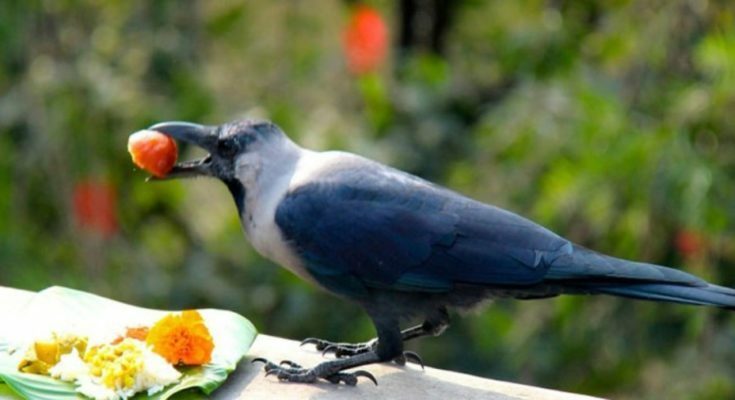 Devotees have also thronged the Kageshwari temple at Basantapur since the morning today to pay homage to the crow.